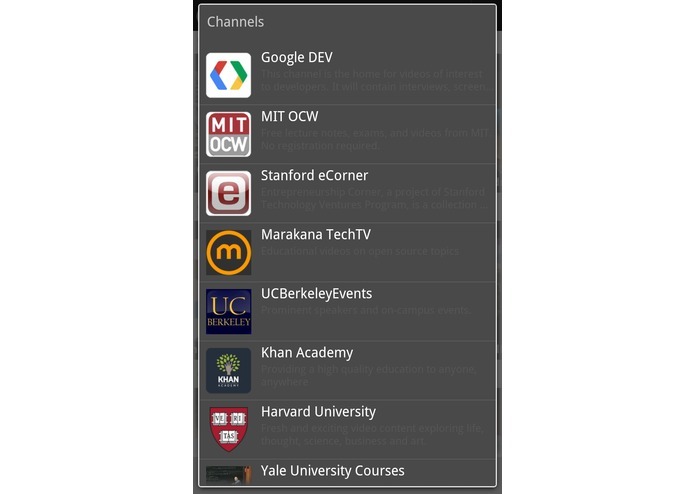 Do you use online video channels such as Khan Academy, MIT OpenCourseware, Google Developer, Marakana, Stanford University, Harvard university, Yale University or your favorite channels for learning and inspiration ? Do you want to reference these notes when you revisit the videos sometime later? 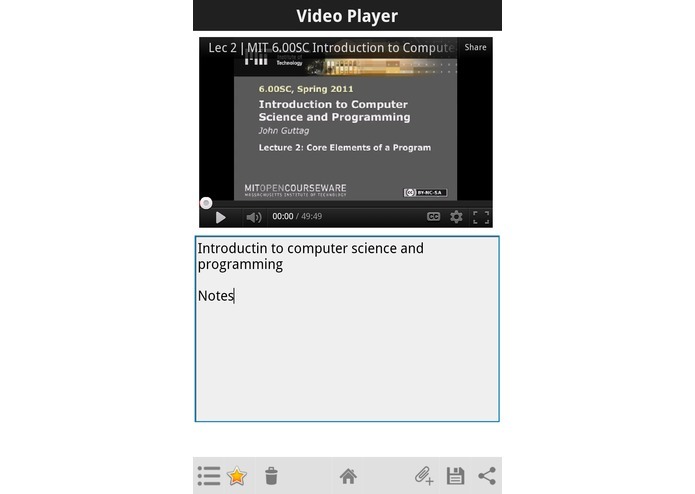 Do you want the videos and notes accessible to you on multiple devices? 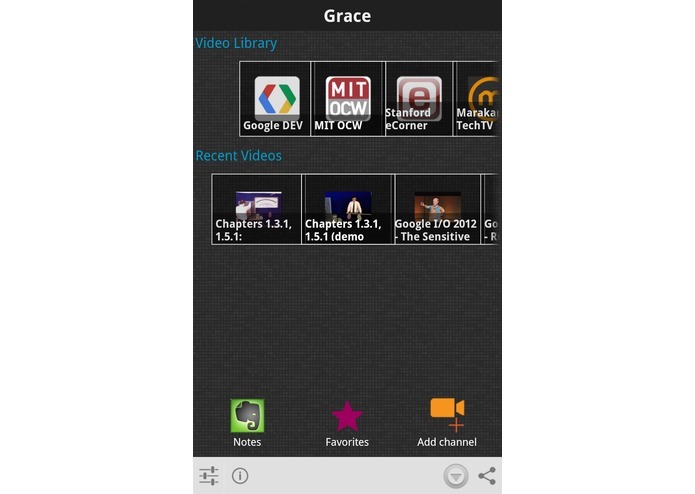 If yes, then meet Grace: Notes for your favorite videos. Watch Videos, take Notes - Enabling the Genius in you. 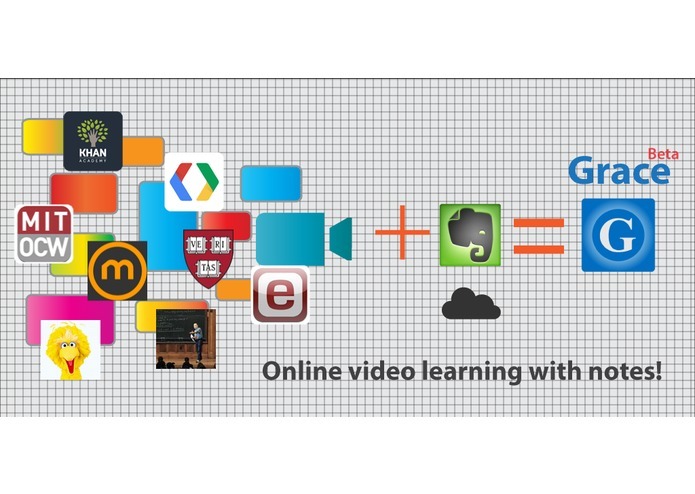 Grace is an easy-to-use application focused to enhance your online video learning experience and unleash your creativity. Using Grace you can use rich pool of online videos to learn / get inspired and simultaneously save / jot your ideas while watching videos. Keep the notes and sketches safe and accessible from any computer using Evernote (Cloud based Notes application). 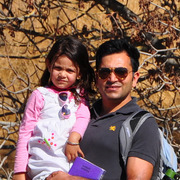 Grace lets you watch and learn from online videos such as Marakana, Khan Academy, MIT OpenCourseware, Google, Stanford and numerous others based on your interest and area of study), take notes while viewing videos, organize them for easy viewing and referencing in the future from multiple devices. 3: Reference your earlier notes for a particular videos when you access them the future.